Betsy Dorminy, is an Accredited Senior Appraiser, of the American Society of Appraisers, the nation's oldest multi-disciplinary appraisal organization, with ongoing Recertification every five years. She hold a designation both in appraising Antiques, Decorative Arts, Fine Arts, and General Residential Contents. She has been a member for over 25 years, and last recertified in the Fall of 2010. Ms. Dorminy is also an Associate of the Appraisers Association of America, in New York City. A native of Birmingham, Alabama, she is a graduate of Hollins College, Virginia, and received her B.A. degree in American Studies in 1978, with an emphasis on Political Science, History and Art History. She attended courses at the University of London, on a Jr. Year Abroad program in 1976-1977, and interned at Sotheby's Auction House, at the 34-35 New Bond Street location. In 1978, she joined C.G. Sloan & Company, Washington, D.C., the nation's second oldest American owned Auction House. Heading up its Appraisal and Estates Department, she managed the cataloguing and appraising for the firm's monthly Antique and Fine Arts auctions. During that time, Ms. Dorminy prepared over 1000 Replacement Value and Fair Market Value appraisals for clients in the Washington Metropolitan area including Attorneys, Insurance Companies,Government Agencies, Members of Congress, the State Department, Historical Homes and Private Collectors at Large. She has assisted major museums around the country in selling their works that no longer fit the scope of the collection, IE. The Birmingham Museum of Art, The Hunter Museum, The Getty Museum, The Chrysler Museum, The Phillips Collection, The High Museum, and several of the Smithsonian Museums, Washington, D.C. In addition, she has conducted and participated in charity appraisal clinics for the areas' Antique shows Historical Societies and Museums. 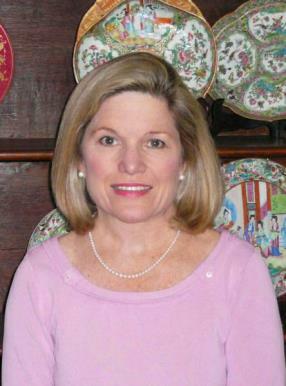 Betsy Dorminy moved to Atlanta in 1993, set up her Appraisal Business, and has actively been engaged in appraising Fine Art, Antiques, and General Residential Contents for clients primarily in the South, but will travel to other locations around the country as she has done for numerous projects. Over the past 15 years, she has been quoted in numerous Newspapers and Magazines, and was featured in the Atlanta Journal/Constitution over her appraisal of an important dignitary's estate, and another over discovering a "hidden" 18th Century American Connecticut Cherry Highboy from a modest Atlanta home, that sold for over $200,000 at auction, which she handled for the estate. While Ms. Dorminy mostly appraises Antique Furnishings, Art and General Residential Contents, she does call on outside associates to appraise special collections of Stamps, Coins, Guns, Rare Wines and Jewelry.